Virtual reality, or VR, is a powerful, new technology. VR software programs are being used in many video games. But others have been developed for education, to train doctors and in military training. VR gives the people who use it an interactive three-dimensional experience. They can see realistic images and hear sounds that are almost like those one experiences in real life. Khora Virtual Reality opened earlier this year in Denmark's capital, Copenhagen. It may be the first virtual reality store in the world. It is a place where people can learn about virtual reality and create and play it. The Greek philosopher Plato used the word "Khora" to describe a place between reality and fantasy. In the company's VR game "Cityscape Repairman," players must operate a huge urban infrastructure. Each person must take care of the city's roads and public services to continue playing. Simon Lajboschitz is the CEO of Khora. He says the company's developers do more than create games. "We work with artists in New York. We work with psychology. We work with the main city hospital here. We work with dementia. We work with businesses (to) tell (a) new way of telling stories..."
Morten Haulik is the company's event manager. "Tt's super important to give people the experience of actually walking around in the world, interacting with stuff. It could be the Great Wall of China or the space station or stuff like that, but if you really need to learn something about it, you actually need to see it in real life, and touch it and interact with it." Lajboschitz says that is what students at the University of Copenhagen experience. "My favorite thing is showing people virtual reality and then, when they take off the goggles. It's like, ‘Whoa, I forgot that I was in this space with white walls and with people around me.' When they realize that they actually forgot that's my favorite part." Clara Lykkegaard is a student at the university. "I have read about virtual reality before, and I've seen others trying it, but I have never tried it myself. And it is a brand new world. It's so weird because you almost forget where you are." Khora's leaders believe helping students get interested in this technology might persuade some of them to work in the industry, and gain a share of what is expected to be a more than $3 billion market by 2020. 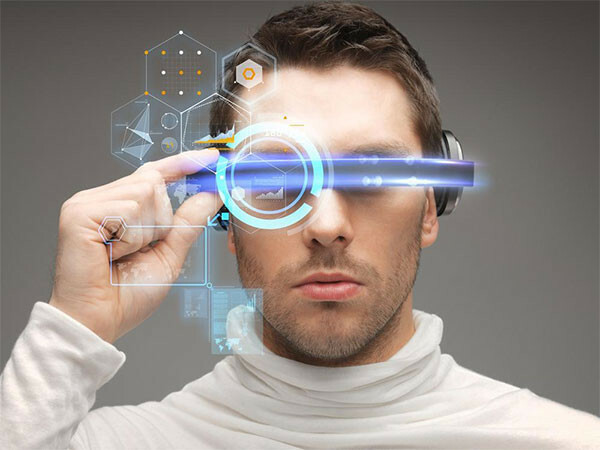 One day virtual reality will revolutionize the entertainment industry. The money is used by local authorities to pay for public services. When I entered junior high school and had the military training. 1.Each person must take care of the city's roads and public services to continue playing. 2. "My favorite thing is showing people virtual reality and then, when they take off the goggles. He wouldn't take his hat off.